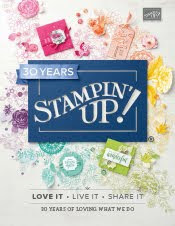 Just Julie B's Stampin' Space: Heart Quilt Wall Art & Card! If you have a young teenage girl in your life, you’ll want to make this bright and colorful wall art for her bedroom. 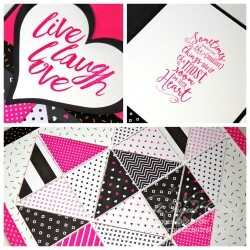 The wall art looks like a heart quilt square, and features the Pop of Pink Specialty Designer Series Paper and Designer Washi Tape. Make one, or make a few to have a quilt grouping on the wall. There’s also a coordinating card to go along with your special handmade gift. This fun project was made by Christy Fulk, and it's the Bonus Project for the month of December over at Craft Project Central. Bonus projects can be obtained by subscribing to two or more months in a row, putting the Craft Project Central badge on your blog, or by referring a friend and when they subscribe, letting us know.